Children rush to pick up their goodies during Sea Isle's Easter Egg Hunt at Dealy Field. There were few words. Little hesitation. A false start. And then chaos. 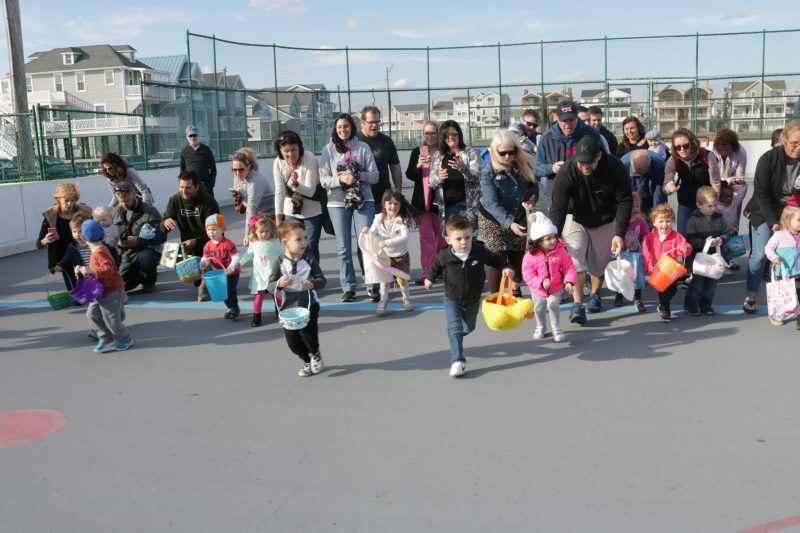 When children ages 3 and under ventured off their Easter Egg Hunt starting line Wednesday evening at Dealy Field in Sea Isle City, it was difficult to determine their speed, but determination was evident, as the little ones plucked plastic eggs, squeaky rubber chicks, baggies of candies and other goodies from the courts. “Evie gets really excited for the egg hunt every year. 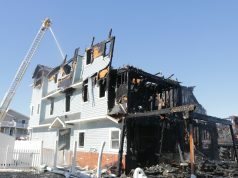 The day before she can’t wait,” Sharyn Freda said of her 3-year-old daughter. 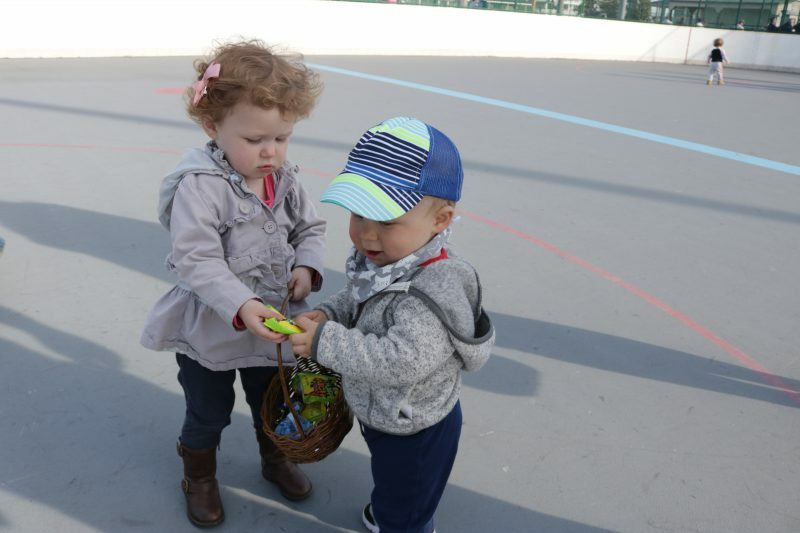 Unlike some of the kids, however, Evie gets so fixated on the first egg, she often opens it up to see what treats are inside before she continues on her excursion around the courts amongst hundreds of other children, her father Noah Freda said with chuckle. 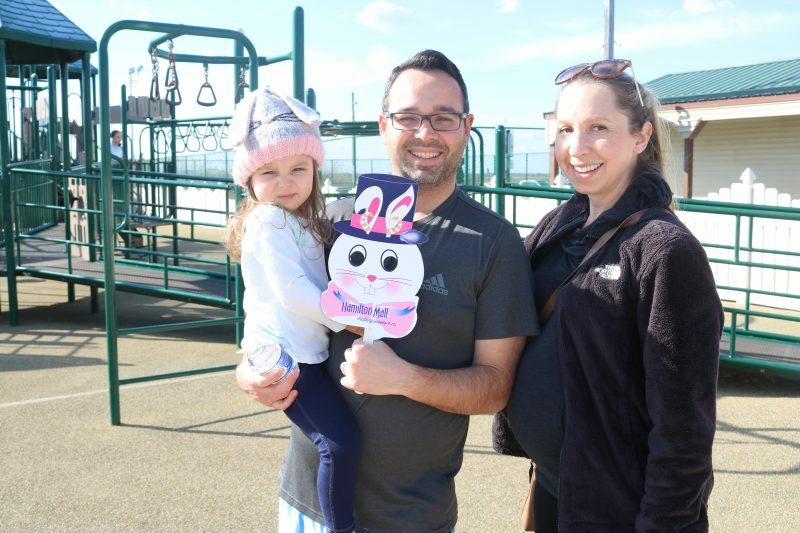 Noah and Sharyn Freda, of Sea Isle City, with their daughter, Evie, 3, await the Easter Bunny. 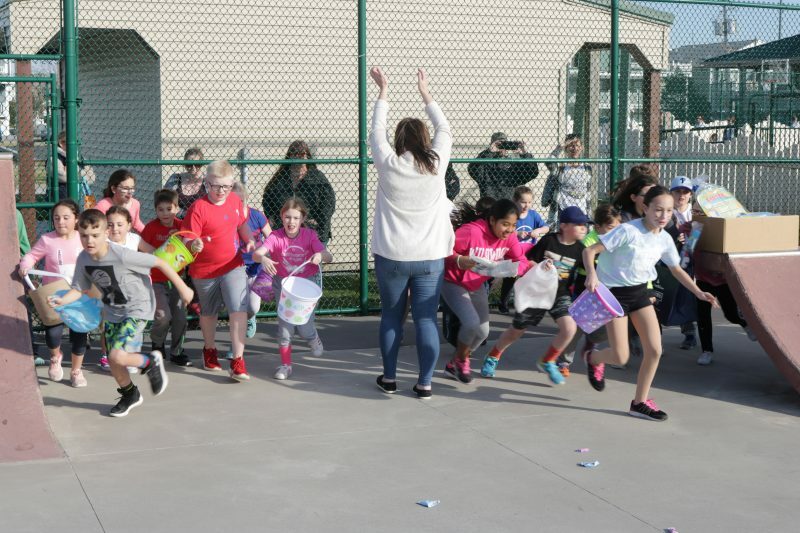 Children in three age groups, ages 3 and under, 4 through 7 and 8 and up, enjoyed their own mad dash around the courts to select their treats. There was even face-painting and of course, a visit from the Easter Bunny. 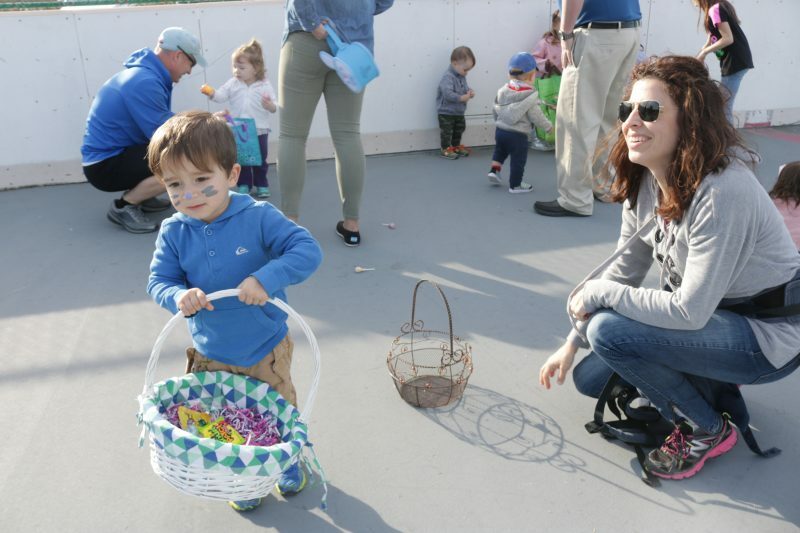 Pittaluga, a mother of three, held her daughter, Vivienne, 1, while her other two children, Joey, 3, and Francesca, 7, had their faces painted while awaiting the Easter Bunny, and of course, the grand finale — the big egg hunt. Asher McIver, 3, of Upper Township, was pretty certain he knew what he liked the most about the day. 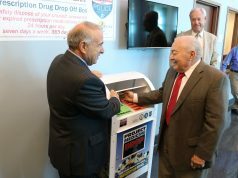 “These things,” he said, holding up a baggie of Sour Patch Kids candies. His mother, Jennifer McIver, just laughed. Asher McIver, 3, of Upper Township, sees what is inside an egg. When it came to the children ages 8 and up it was a methodically calculated descent onto the skatepark, where wrapped kites, squishy mini footballs, chocolates, candies and plastic eggs lined the courts. The boys took home large cellophane wrapped Easter baskets filled with treats. “It was just sitting there in front of everyone. I picked it up,” beamed Gavin Scott. His brother Landon, 7, didn’t find a special egg, but nonetheless seemed pretty happy with his filled Easter basket. William said he was very happy with his prized basket. Amelia Jaggers, 1, of Dennis Township, shares a treat with Breccan Baldini, 1, of Sea Isle. 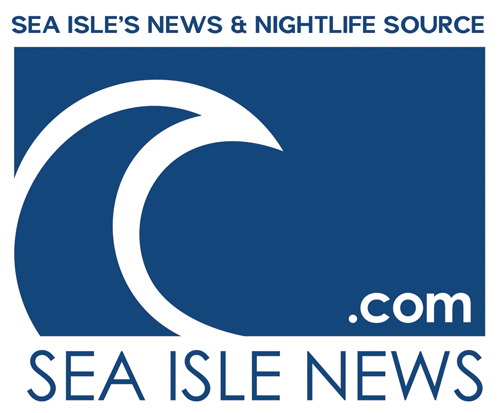 Former mayor and Sea Isle historian Mike McHale kept up with his grandchildren, Molly and Erin, who ran around the playground and giggled leading up to the start of the festivities. “It is all about fun and family. 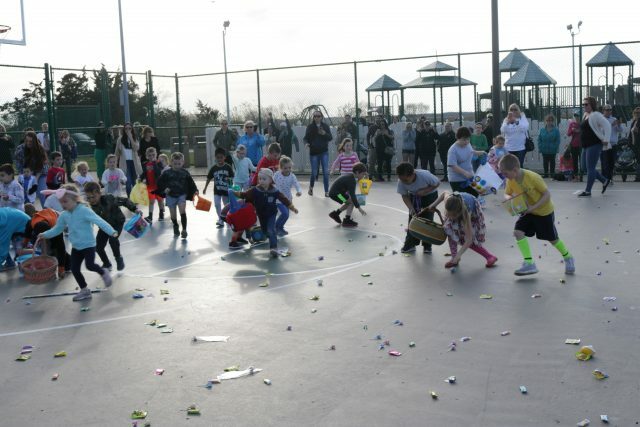 It is neat to see all of the families out and the kids so excited about the egg hunt,” McHale noted. Sea Isle City Public Information Officer Katherine Custer, who is also in charge of recreation, was busy snapping photos of the families. 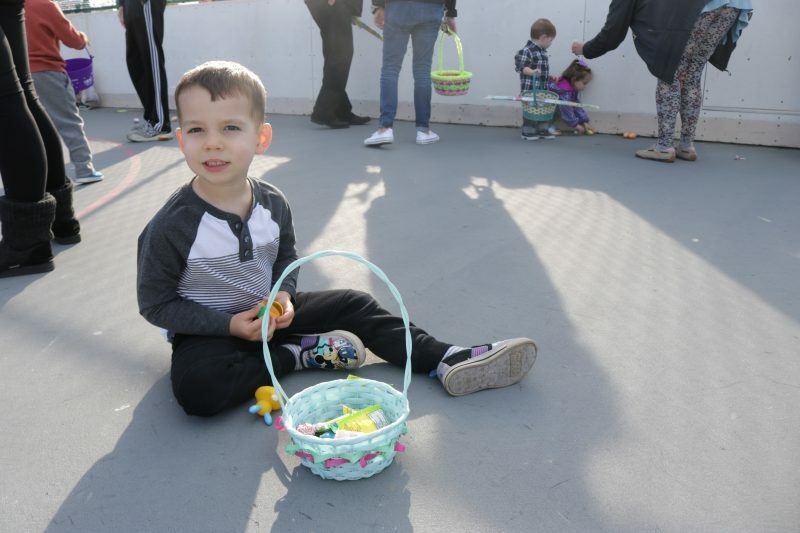 Joey Pittaluga, 3, of Sea Isle, fills his basket as his mother, Kristy, smiles. 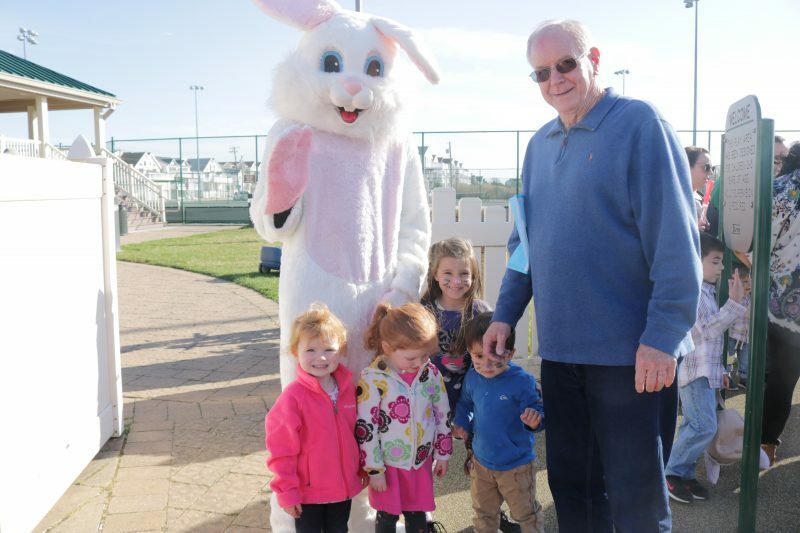 Former Sea Isle Mayor Mike McHale has a photo taken with the Easter Bunny along with his grandchildren, Molly and Erin, and their friends Joey and Francesca Pittaluga. 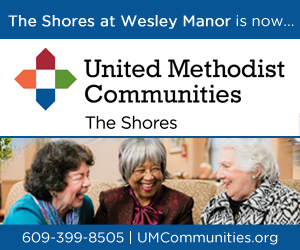 Children ages 8 and up are ready to get started in the mad dash for goodies. 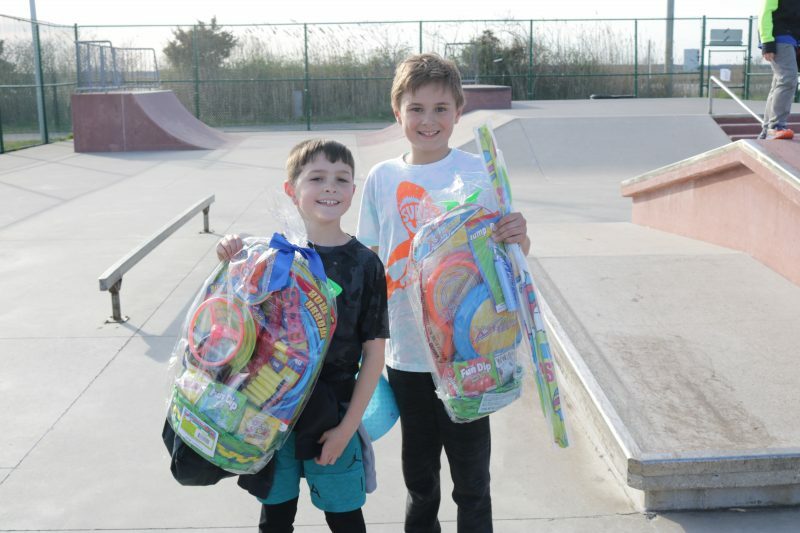 Easter basket winners William Bernhardt, 8, of Upper Township and Gavin Scott Oliver, 9, of Sea Isle, are all smiles. 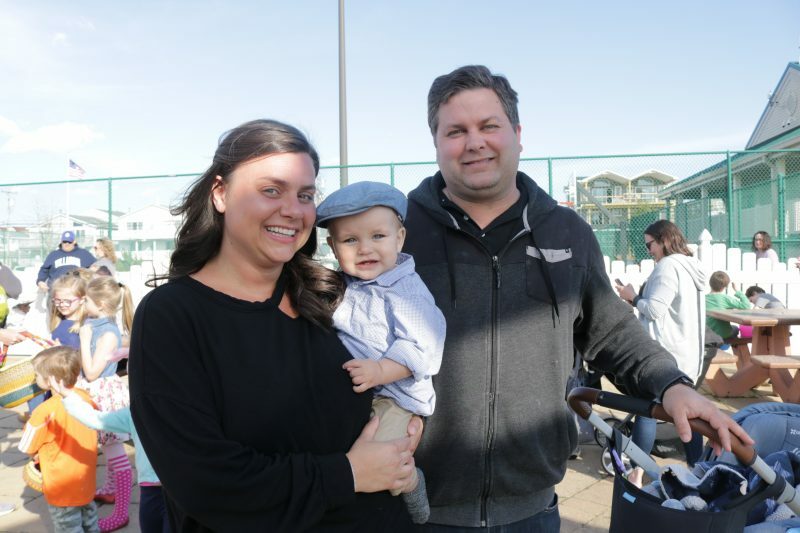 Jennifer and Steward Vaughan, of Ocean City, say they will make the egg hunt a tradition for their son, Luciano, who is 10 months old. 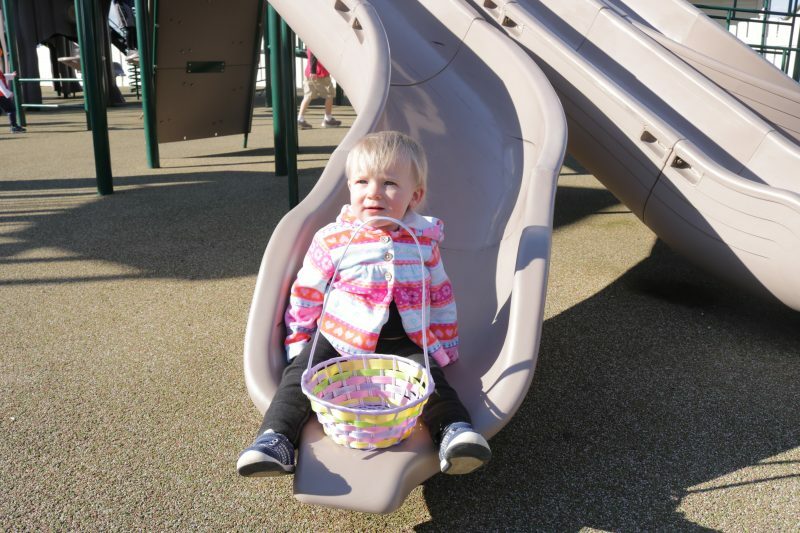 Autumn Brough, 1, of Sea Isle City, anxiously awaits the Easter Egg Hunt.